Luci Barker: The Blogmas Lowdown + Keeping up with Blogmas | 12 Days of Christmas! 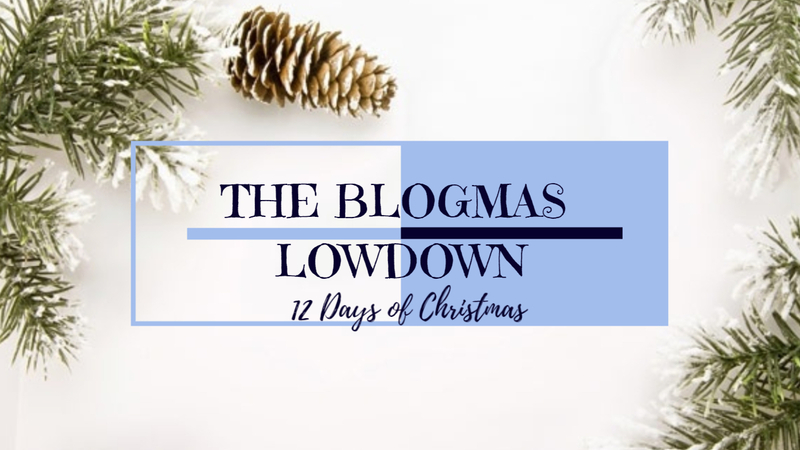 The Blogmas Lowdown + Keeping up with Blogmas | 12 Days of Christmas! Happy December guys and welcome to my 12 Days of Christmas Series here on my blog. December is a very busy time for us Bloggers and Youtubers because a lot of use take part in a thing called Blogmas / Vlogmas. If you don't know, these are a series of posts that are uploaded throughout December in the run up to Christmas. Some Bloggers post for 12 Days, others do 24 days and some super organised people even do the full 31 days. A lot of Bloggers only upload festive content throughout the series, but some people ... including myself ... do a mixture of festive and everyday content. This time last year I took part in Blogmas and uploaded for the full 24 days, up until Christmas eve. I actually look back and wonder how I managed it with working and being in College, but when you do finish it, it's a huge accomplishment and you feel really proud of yourself and all the incredible festive content you've shared that month. As Blogmas can be such a stressful, yet exciting time for your Blog, I thought I would share some of my top tips on how to keep up with your uploads and also some post ideas to help you get the ball rolling. My Top Tip's for keeping up with Blogmas! SO, my first tip is a pretty obvious one ... planning. I would firstly recommend you plan how you're going to do Blogmas, everyday, for 12 days, for 24 days, every other day or the full 31 days. Obviously, you can upload as and when you please but these are the most popular. A to-do list is one of the best ways I've found to keep up to date and especially if you're not a full time blogger, it'll help you to know when you're able to write and it'll also help you to keep the stress level down because you know that it'll get done. Secondly, you'll need to brainstorm 'X' amount of post ideas and on the days you wish to upload that particular post. Again, the latter option isn't so important because I know some Bloggers upload a post when they've finished writing it, however, I like to know roughly what post is going up and when. Obviously, they could change throughout the month if I'm unable to finish a certain post, but at least if I have an idea of when that post is going live, it helps me to work out when it needs to be written and finished by. I know this post has gone up a little late to start with this one, but giving yourself time to get your work done will help to lighten the work load as it'll be done over time, it'll keep the stress levels down and also it wont cause you to rush, which in turn could leave to putting out half hearted and rushed content just because you want to keep up with your schedule. This could also mean that you wont feel proud of certain posts and the work that you have done. Last year, I started to plan for Blogmas in August ... which may seem really early, but it's actually later than a lot of other Bloggers. This year, I decided against doing Blogmas because I didn't give myself enough time to plan, so I decided to do the 12 days of Christmas and upload every other day, and I only started planning for this a week or so ago. I did upload a post with lots of Blogmas Post ideas on it, so if you would like to check that out please click here! I hope you enjoyed this style of post, it's quite different to my usual beauty related content. Thankyou for taking the time to read and I will see you on Monday for the next post! Just a quick note: Throughout the month of December my upload schedule will be changing for this month only as I'm doing 12 Days of Christmas. I will be uploading every other day this month up until the 23rd and then my schedule will be going back to two uploads a week, on Wednesdays and Fridays at 5:30pm, for the foreseeable future! Have you entered my Christmas Giveaway? Check out what you can win and how to enter by clicking here!